Confused by that digital SLR you have, and all the photography jargon that goes along with it? 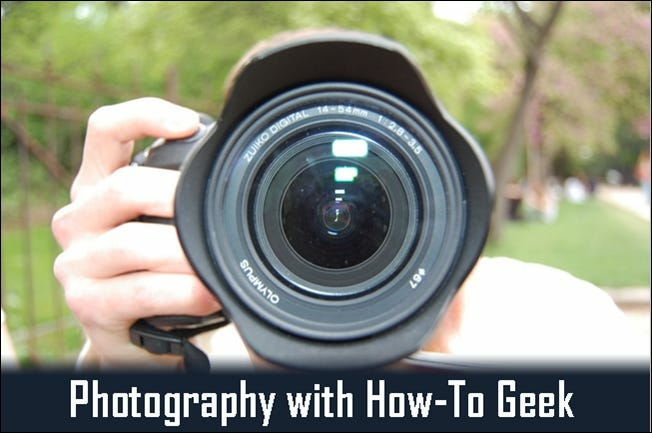 Take a look at some photography basics, learn how your camera works, and how that can help you take better pictures. Photography has everything to do with the science of optics—how light reacts when it is refracted, bent, and captured by photosensitive materials, like photographic film or photosensors in modern digital cameras. Learn these basics of how a camera—practically any camera—works, so you can improve your photography, whether you’re using an SLR, or a cellphone camera to get the job done. Just What is a Camera? To understand modern cameras, we can start with the camera obscura, leap forward a few thousand years, and begin talking about the first pinhole cameras. These use this same simple “pinprick” of light concept, and create an image on a plane of photosensitive material—an emulsified surface that reacts chemically when struck by light. Therefore the basic idea of any camera is to gather light, and record it on some kind of photosensitive object—film, in the case of older cameras, and photo sensors, in the case of digital ones. Does Anything Go Faster Than the Speed of Light? It is this same property of light to react with matter that allows us to bend, refract, and focus it using modern photographic lenses. The same basic design hasn’t changed in several years, and the same basic principles from when the first lenses were created apply now, as well. While they have become more advanced throughout the years, lenses are basically simple objects—pieces of glass that refract light and direct it toward an image plane toward the back of the camera. 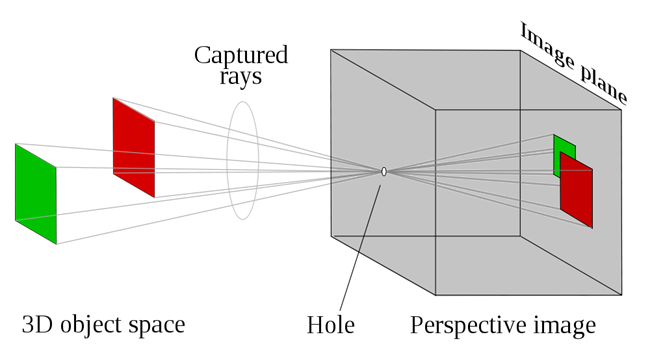 Depending on how the glass in the lens is shaped, the amount of distance the crisscrossing light needs to converge properly on the image plane varies. 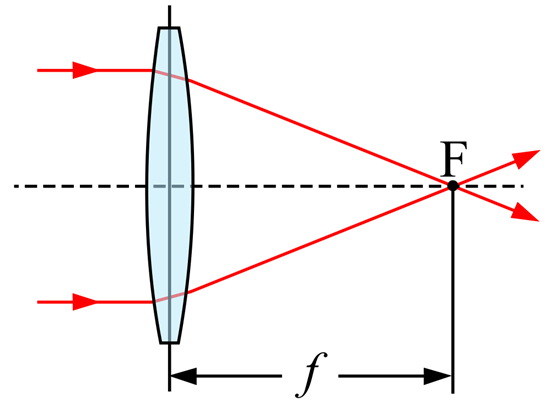 Modern lenses are measured in milimeters and refer to this amount of distance between the lens and the convergence point on the image plane. Focal length also affects the kind of image your camera captures, as well. A very short focal length will allow a photographer to capture a wider field of view, while a very long focal length (say, a telephoto lens) will cut the area you’re imaging down to a much smaller window. 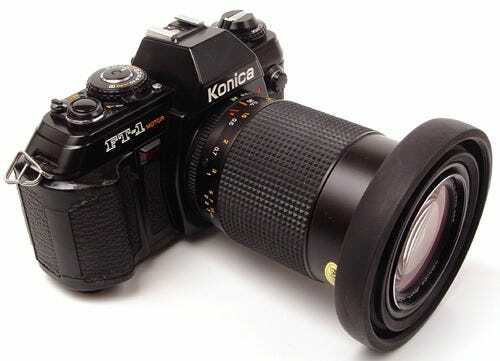 There are three basic types of lenses for standard SLR images. They are Normal lenses, Wide-angle lenses, and Telephoto lenses. Each of these, beyond what has already been discussed here, have some other caveats that come along with their use. Wide-angle lenses have huge, 60+ degree angles of view, and are usually used for focusing on object closer to the photographer. Objects in wide angle lenses may appear distorted, as well as misrepresenting the distances between distance objects and skewing perspective at closer distances. Normal lenses are those that most closely represent the “natural” imaging similar to what the human eye captures. Angle of view is smaller than Wide-angle lenses, without distortion of objects, distances between objects, and perspective. Long-focus lenses are the huge lenses you see photography aficionados lugging around, and are used to magnify objects at great distances. They have the most narrow angle of view, and are often used to create depth of field shots and shots where background images are blurred, leaving foreground objects are left sharp. Depending on the format used for photography, focal lengths for Normal, Wide-Angle, and Long-Focus lenses changes. Most ordinary digital cameras use a format similar to the 35mm film cameras, so the focal lengths of modern DSLRs are very similar to the film cameras of yesteryear (and today, for the film photography buffs). Since we know that light has a definite speed, only a finite amount of it is present when you take a photo, and only a fraction of that makes it through the lens to the photosensitive materials within. That amount of light is controlled by two of the major tools a photographer can adjust—the aperture and shutter speed. The aperture of a camera is similar to the pupil of your eye. It is more or less a simple hole, that opens wide or closes down tightly to allow more or less light through the lens to the photo receptors. Bright, well-lit scenes need minimal light, so the aperture can be set to a larger number to allow less light through. Dimmer scenes require more light to strike the photo sensors in the camera, so the smaller number setting will allow more light through. Each setting, often referred to as f-number, f-stop, or stop, typically allows half the amount of light as the setting before it. Depth of field also changes with the f-number settings, increasing the smaller the aperture used in the photograph. In addition to the aperture setting, the amount of time the shutter stays open (aka, shutter speed) to allow light to strike photosensitive materials can also be adjusted. Longer exposures allow in more light, particularly useful in dim lighting situations, but leaving the shutter open for extended periods of time can make huge differences in your photography. Movements as small as involuntary hand tremors can dramatically blur your images at slower shutter speeds, necessitating the use of a tripod or sturdy plane to place the camera on. 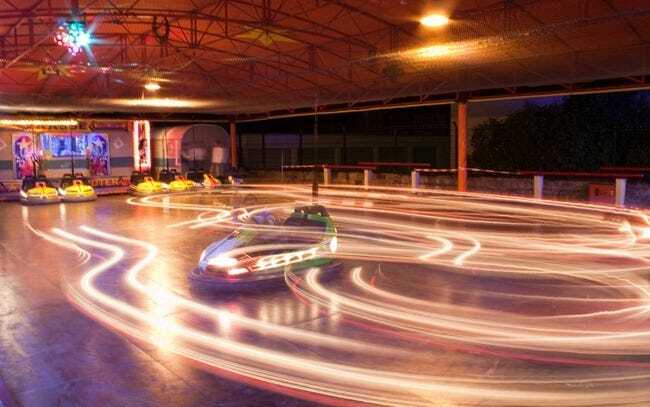 Used in tandem, slow shutter speeds can compensate for smaller settings in aperture, as well as large aperture openings compensating for very fast shutter speeds. Each combination can give a very different result—allowing lots of light in over time can create a very different image, compared to allowing lots of light in through a larger opening. The resulting combination of shutter speed and aperture creates an “exposure,” or the total amount of light that strikes the photosensitive materials, be they sensors or film. Have questions or comments concerning Graphics, Photos, Filetypes, or Photoshop? Send your questions to ericgoodnight@howtogeek.com, and they may be featured in a future How-To Geek Graphics article. Image Credits: Photographing the Photographer, by naixn, available under Creative Commons. Camera Obscura, in public domain. 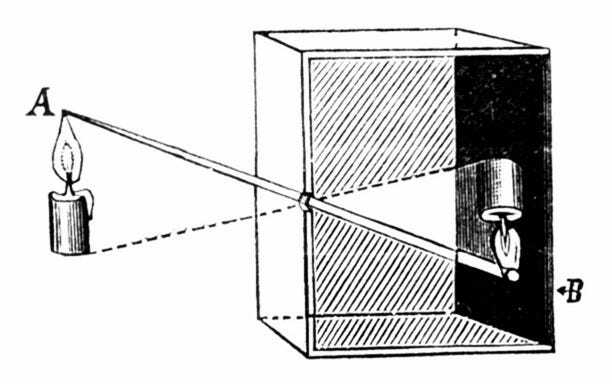 Pinhole Camera (English) by Trassiorf, in public domain. Diagram of a Solar Type Star by NASA, assumed Public Domain and Fair Use. Galileo’s Teliscope by Tamasflex, available under Creative Commons. Focal Length by Henrik, available under GNU License. Konica FT-1 by Morven, avaiable under Creative Commons. Apeture diagram by Cbuckley and Dicklyon, available under Creative Commons. Ghost Bumpercar by Baccharus, available under Creative Commons. Windflower by Nevit Dilmen, available under Creative Commons.